PAN Card is an essential document for most of the finance related transactions. But what if it gets damaged? Don’t worry; we are here to help you out on getting a new PAN Card. 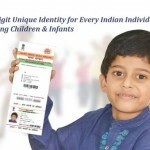 PAN (Permanent Account Number) Card is an important document. It not only proves to be an essential document for filing your income tax returns, but it also serves as a proof of your identity. Given so many advantages, it goes without saying that having a damaged PAN Card may leave you tensed and restless. Fret not; it’s easy to get a reprint or a new PAN Card. Even if you never had one, you can apply for it too. Go through all the instructions and guidelines carefully. You can also translate the text into Hindi as per your convenience. Scroll down to the bottom page to find the option- “Select the Category of the Applicant” to apply for the reprint of your PAN Card. Once you have read all guidelines, fill the form completely and carefully. When done, submit the fee of Rs.107/- in the form of Demand Draft /Debit Card/ Cheque/ Credit Card/ Net Banking. All Demand Drafts or Cheques must be paid in favour of- “NSDL – PAN” payable at Mumbai. No need to check on any box in the left column as your address is automatically verified. It is mandatory to fill all the starred boxes. If you wish to receive the Paperless PAN Application for the re-issue of your PAN Card, you may select YES option when asked for a digital signature. Else, you may click on NO to receive the hard copy of PAN Application Form. Once you have completed all the necessary steps, you will receive a 16-digit Acknowledgment Number. Take a printout of the Acknowledgement Form. Paste your two recent photographs (passport size in white background) in the provided space. Put your signature in the given box. Enclose all necessary documents, Demand Draft/Cheque (if not paid online), self-attested documents, Acknowledgment Form, in an envelope. Your envelope with all the documents and form should reach the NSDL office within 15 days. As soon as NSDL receives it, your application will be processed. You will receive an email regarding the same on your ID. You can also track the status of your PAN Card or you can contact NSDL at – 02027218080. Congratulations, you have successfully submitted the application for the reprint of your PAN Card.